Brown graduated from Emerson College in Boston with a degree in theatrical makeup. In 1980, she moved to New York City to work as a professional makeup artist. From 1980 to 1991 she became an expert in her craft, becoming known for a makeup style that included moderate and natural tones, which was a stark contrast to the bright colors used at the time. In 1991, she and a chemist made a revolution, they released a line of new lipsticks (10 lipsticks on beige pigment) under the brand Bobbi Brown Essentials, which debuted at Bergdorf Goodman in New York City. The success of her makeup line led Estée Lauder to buy the company in 1995. Her work has since been featured on the covers of magazines such as Elle, Vogue, Self and Town & Country. Just because Bobbi sold her company to Estée Lauder doesn’t mean she stopped working. 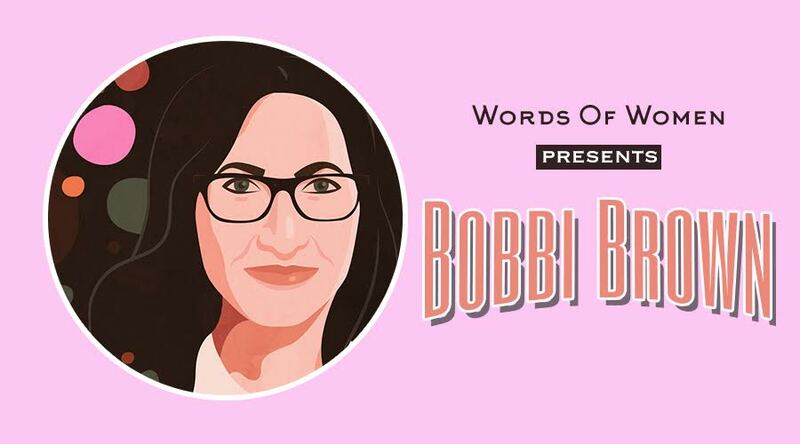 Bobbi continues to play a huge role not only in her cosmetics line, but for women entrepreneurs everywhere. When I watched the movie about Billie Jean King, Battle of the Sexes. Safety of the people I love. There’s no such thing as failure it’s just an opportunity to do something else. Creating products and making content. Being able to sit still. I walk, talk to my friends and enjoy a nice clean cocktail. Being proud of what you’ve accomplished.